Welcome everyone. I am so excited you are here. 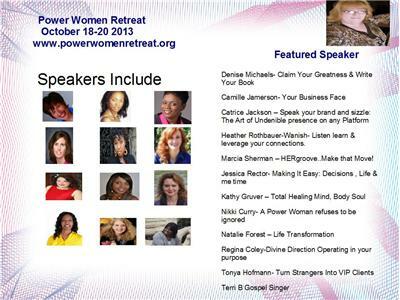 Today we are going to chat with the amazing speakers we have lined up for our 1st Annual Power Women Retreat October 18-20 2013 in beaufitul Hot Springs Arkansas.